* Surprisingly, Fleur De Chine starts with a bouquet of flowers mixed together. Try as I might, I can’t ID the individual flowers aside from a light rose. * This is a compliment that’s going to sound like a dis. It smells like really expensive, ultraluxurious shampoo. * The flowers stay present as fruit and tea notes come forward. * The middle section conjures images of a polite tea date, with fresh flowers and juicy fruit. * Base notes of amber and cedar come in as the scent becomes quite sheer. Summary: If Fleur de Chine was a person, she would be the very proper lady who is always dressed impeccably with perfect manners – very classy and appropriate. I went to Vanderbilt for college and this reminds me of the girls who wore Laura Ashley to football dates. When they grew up to be proper Southern women in the Junior League, Fleur de Chine could be their scent. Fleur de Chine isn’t bad, its just not amazing or mind-blowing or worth the $210 price tag for 50ml. 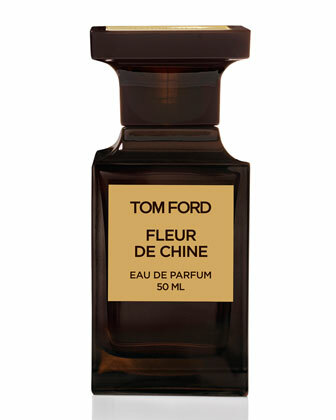 However, if you are looking to splurge for your mom, this would be a safe scent that they would enjoy.